Illusion - Photo by ISA. If you have any questions about the ILLUSION information page below please contact us. The motor yacht ILLUSION is a 37 m 120 (ft) well sized composite boat which was manufactured at Isa (International Shipyards Ancona) and her design plans were devised by Isa Yachts and Andrea Vallicelli. This gracious motor yacht has been brought about by naval architects Isa Yachts and Andrea Vallicelli. Isa Yachts / Cristiano Gatto Design was successful with the designing of the interior. ILLUSION 120 ISA motor yacht has a fully customised interior featuring white onyx, Lalique, stainless steel and mirrored inlays in highly polished black walnut throughout. 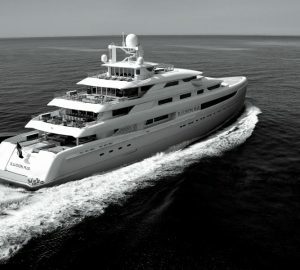 ISA Yachts Design was the naval architect firm involved in the technical vessel plans for ILLUSION. Her interior design was conceived by Isa Yachts / Cristiano Gatto Design. Isa Yachts and Andrea Vallicelli is also associated with the yacht wider design collaboration for this boat. Built by Isa (International Shipyards Ancona) the vessel was built in the known yacht building country Italy. She was successfully launched in Ancona in 2007 before being handed over to the owner. Her core hull was built out of composite. The motor yacht superstructure is fabricated mostly from composite. With a width of 7.4 metres or 24.28 feet ILLUSION has reasonable internal space. She has a fairly shallow draught of 1.3m (4.27ft). She had refit maintenance and modification undertaken in 2009. Powered by triple MTU diesel main engines, ILLUSION will attain a high speed of 34 knots. Connected to her MTU engine(s) are 3sc. Her total HP is 6000 HP and her total Kilowatts are 4473. For stabalisers she was supplied with Yes. 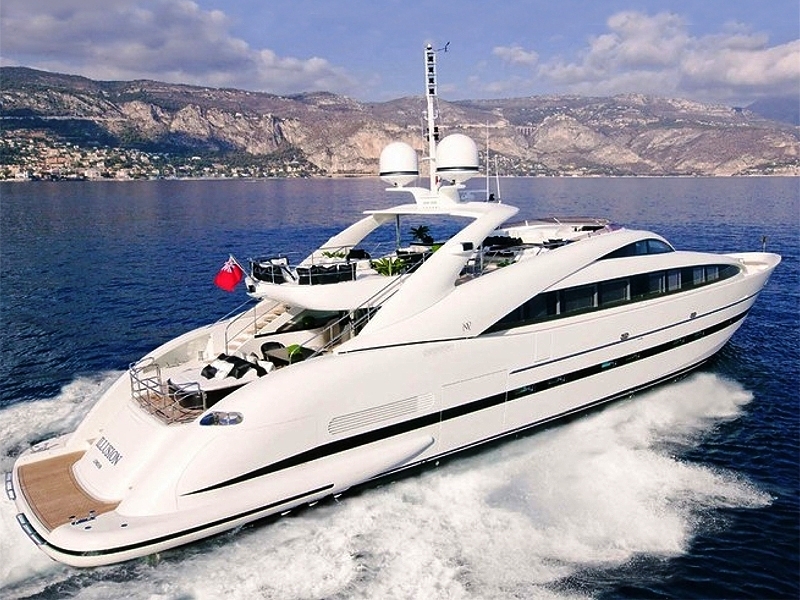 The good sized luxury yacht M/Y ILLUSION can accommodate a total of 8 passengers and has 5 qualified crew. 36.58 metres / 120 feet. Giving the combined power of 6000 HP /4473 KW. 34 nautical miles per hour. The luxury yacht ILLUSION displayed on this page is merely informational and she is not necessarily available for yacht charter or for sale, nor is she represented or marketed in anyway by CharterWorld. This web page and the superyacht information contained herein is not contractual. All yacht specifications and informations are displayed in good faith but CharterWorld does not warrant or assume any legal liability or responsibility for the current accuracy, completeness, validity, or usefulness of any superyacht information and/or images displayed. All boat information is subject to change without prior notice and may not be current.